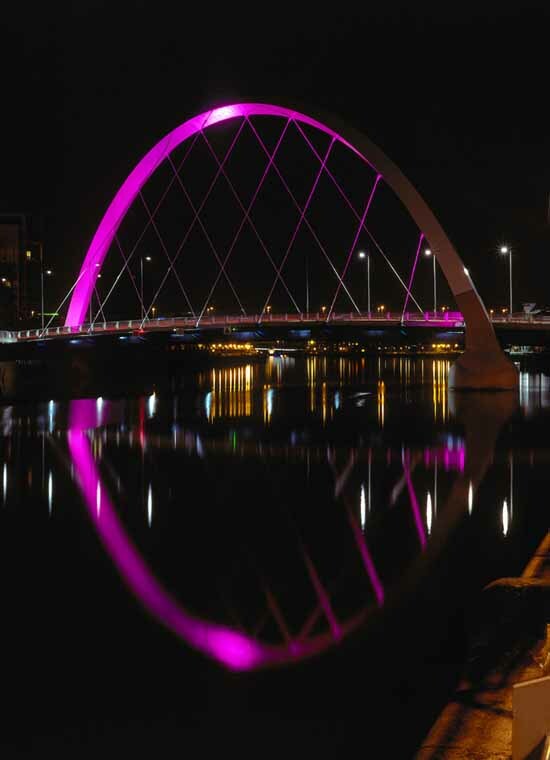 The £20.3m Finnieston Bridge will be a dramatic new landmark for Glasgow, featuring a central arch span which crosses the river at an angle between the roundabout at Broomielaw/Finnieston Street and the south side of the river. When complete, the bridge will accommodate four lanes; two dedicated to public transport and two for private and commercial traffic, with additional pedestrian and cyclist paths. It will also allow for the provision of a possible future Light Rapid Transit scheme. 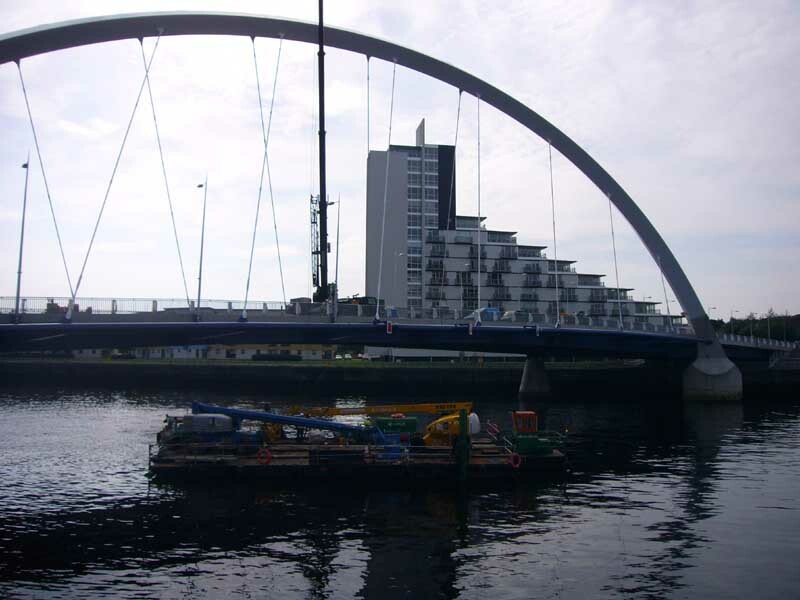 The bridge is being built by Kilsyth based Edmund Nuttall Ltd and is scheduled to be complete by July 2006. Construction started in May this year and piling works for the bridge foundations are currently taking place in the river using a large floating barge. Other works currently in progress include the fabrication of the new bridge superstructure off-site, pre-casting of bridge deck concrete slab units at the on site pre-casting yard and foundation works for the bridge substructure river piers which features the use of large items of floating construction plant in the river. 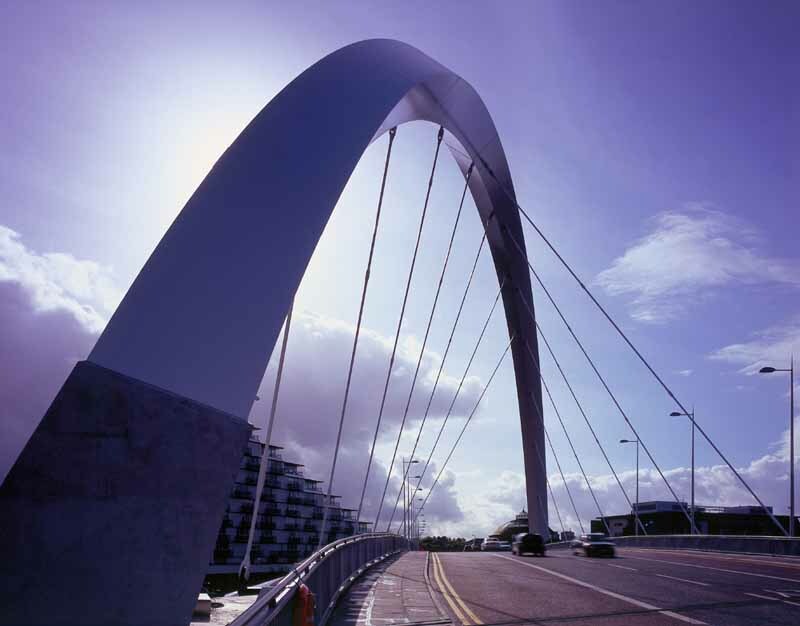 The bridge, jointly funded by Glasgow City Council and Scottish Enterprise Glasgow, will offer an instantly recognisable gateway to the city and improve public and private transport links to the city’s new developments. It will comprise a main span of 96 metres with two end spans of 36.5 metres. 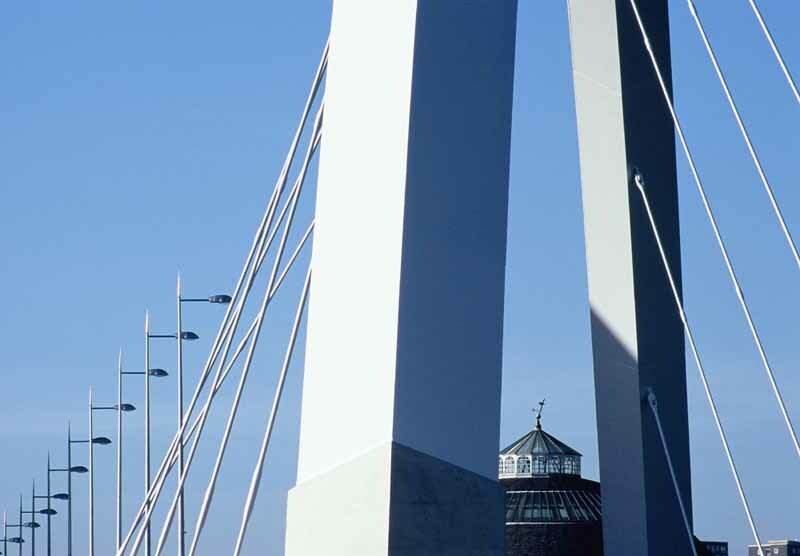 Supports for the main span are located within the river with the abutments located behind the existing quay walls. Central navigation headroom at mean high water tide is 5.4 metres. 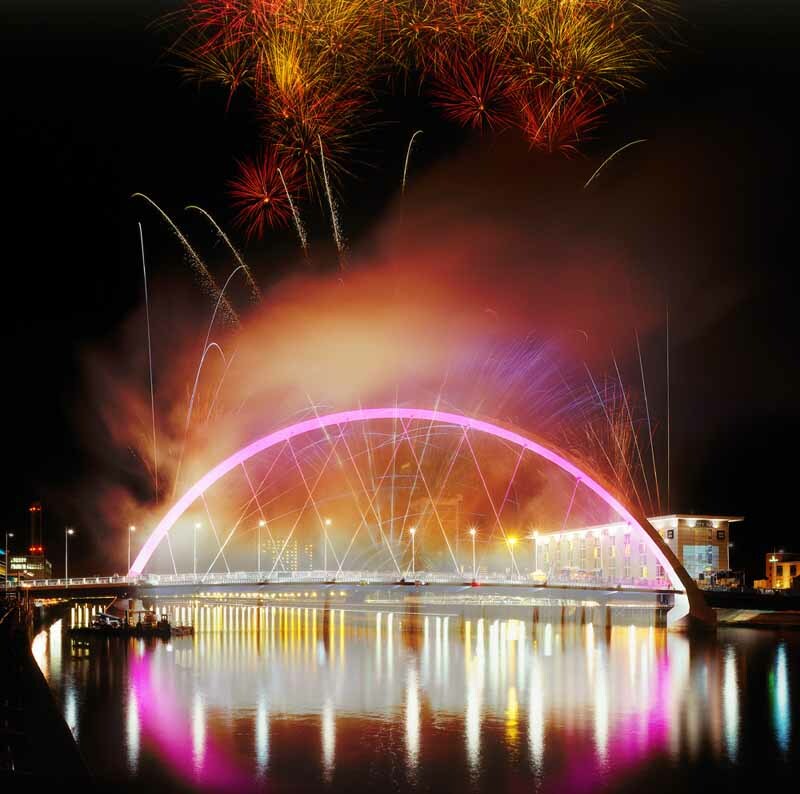 The so-called ‘squinty bridge’ by Gillespies carrying pedestrians and four lanes of traffic across the River Clyde at an oblique angle finally for the go-ahead from the City Council. ‘You need to have an authority, created under Scottish legislation, with powers to grasp the whole thing for the long-term’. ‘The bridge could put much of that regeneration at risk’. ‘It’s unanimous – we are going to get a crap bridge, probably one in the wrong place’. 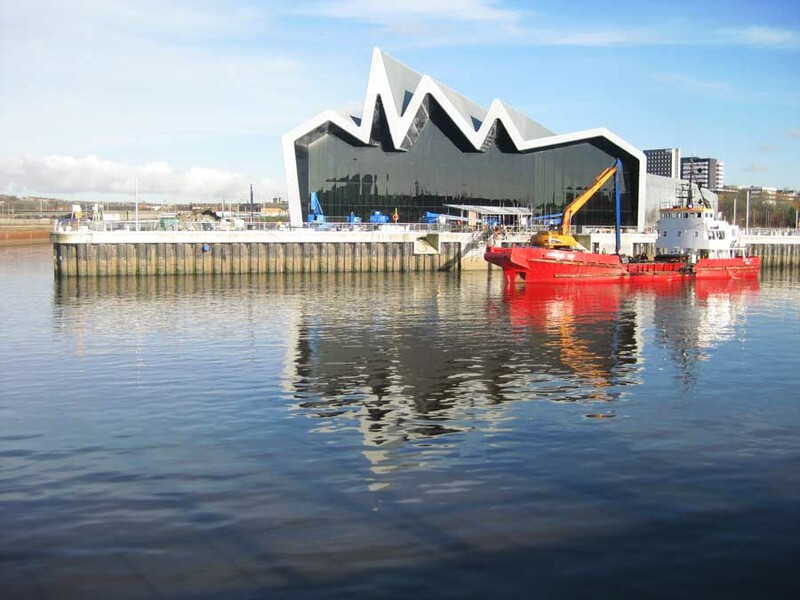 Campaigners today launched a fight to stop an £8m road bridge being built across the River Clyde. 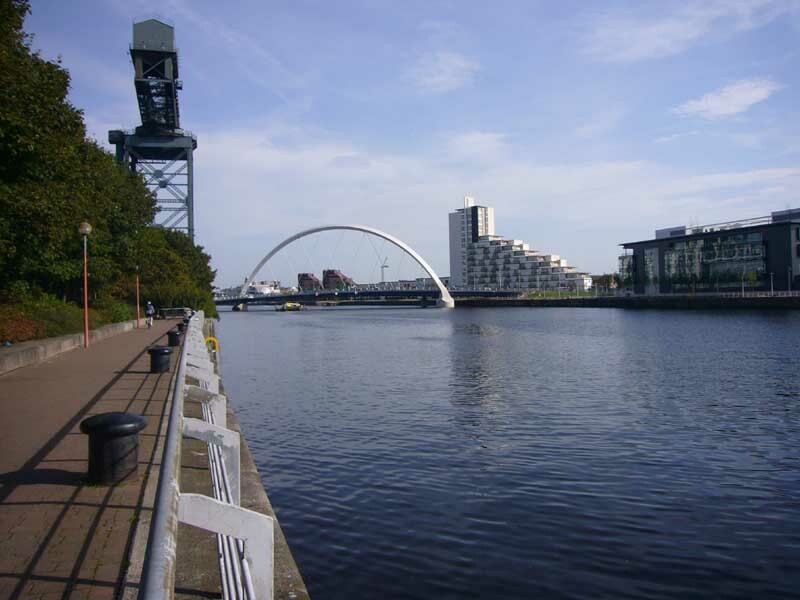 Scottish Enterprise Glasgow and Glasgow City Council are building the four-lane slanting bridge as a gateway to the multi-million-poundPacific Quay development. The BBC demanded the building of the bridge as part of its move to new headquarters. 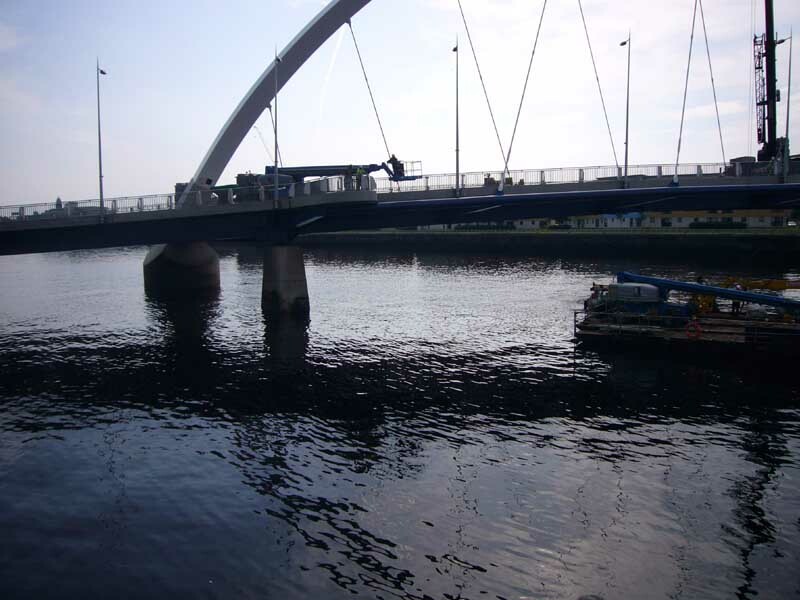 But objectors have warned the arched bridge – with a 17ft clearance above the water’s highest point – is far too low.